Now five full days of celebration!! We are happy to welcome for the first time from the USA two pioneers of the Goddess movement – Vicki Noble, co-creator of the Motherpeace Tarot, and Zsuzsanna(Z) Budapest, Founder of the Dianic Wiccan Tradition! With Conference Favourites: Anique Radiant Heart, Barbara Meiklejohn-Free, Carolyn Hillyer, Julie Felix, Kathy Jones, Lydia Ruyle and Lady Olivia Durdin Robertson. 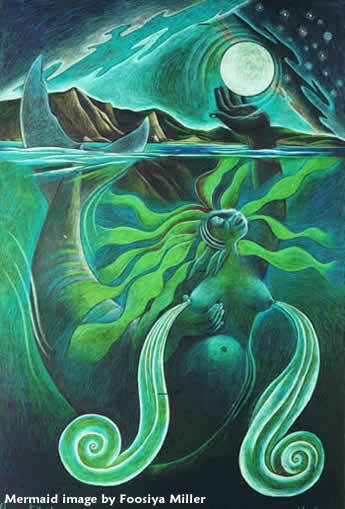 With Ceremonies and Praise Songs to the Great Goddess of Water, She who is the Source and Womb of all Life. Participate in moving Sacred Ceremonies, take part in inspiring Workshops, listen to fascinating Presentations, see beautiful Artwork & Stalls, Performances, Music, Song, Poetry and Dance. Visit the Holy Wells of the Goddess in Avalon, cleansing and immersing yourself in Her Healing Waters. Join one of Nine Wells - circles of support and participation in Conference Ceremonies. Dance the night away at the Goddess Gala Buffet and Masque, and join our Goddess Procession through the Landscape to the River Brue with a Fruit Feast! 2011 is the Symposium's twenty-first year!